A child dying in a hot car was once a relatively rare event. In the early 1990s, only about four to five kids a year died in hot cars. Unfortunately, those numbers have grown tremendously, to where we now have about 40 to 50 deaths a year. I don't think any one factor has ever been found to be a cause, but the rise in the automation in our cars certainly has to be a factor. While you once had to manually roll up all of the car windows and lock the doors, you can now do all of that with a push of a button. 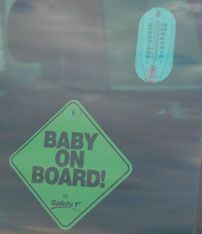 Was that extra step enough of a reminder that you had a baby in the car? There were 24 hot car deaths in 2015 - the lowest number since 1998, when records started being kept. So far this year, in 2016, there have already been at least 19 hot car deaths, which is fairly average. June through August are not surprisingly when most hot car deaths occur though, so unfortunately, we can expect that number to rise. When you realize that a car can quickly heat up to almost 110° F in only 15 minutes when it is 83° F outside, even when the car's windows are rolled down a little, it is not hard to understand why these tragedies happen. When the temperatures outside get up to 100° F, a car can heat up to 172° F.
Hot car tragedies are not all about parents forgetting to drop off their kids at daycare. Kids slipping out of the house and into an unlocked car, often into the trunk, is another common way kids die in hot cars. And of course, some people simply don't understand the risk of hot cars and intentionally leave their kids in a hot car as they go shopping or run errands. And of course, never leave your child in the car. If you see kids alone in a car, call 911 and help make sure the kids get out quickly. Even with the windows rolled down a little, it doesn't take long for a car to heat up to the point that kids can get heat stroke. Also, remember that when a child is missing, in addition to checking the backyard pool and any other bodies of water, be sure to check inside the car and trunk of any nearby vehicles. KidsAndCars.org. Child Vehicular Heat Stroke Deaths By Calendar Year. National Highway Traffic Safety Association. Unattended Children and Cars. Accessed July 2011. Null, Jan. Fact Sheet - Heatstroke Deaths of Children in Vehicles. Accessed August 2014.